I recently had a brief conversation with Joel from Cliniko around the choice of technology stack when developing mobile apps. Most startups are heavily invested in web technologies, so it seems like a no-brainer to re-invest those resources in the app world using wrappers like Ionic or Cordova. Others go all-in on fully native solutions for each platform — having a team of developers each for Windows, Android and iOS. I guess the logic here is that with native apps there are no limits on the user experience and performance of the native platform — resulting in a better customer experience. While I don’t believe there’s a silver bullet as to which technologies are best for mobile apps — there’s just too many variables at play — I do believe that Xamarin deserves a fair look in a lot of cases. Check out the reading resources at the bottom of this post for some comparisons between the different mobile dev strategies. 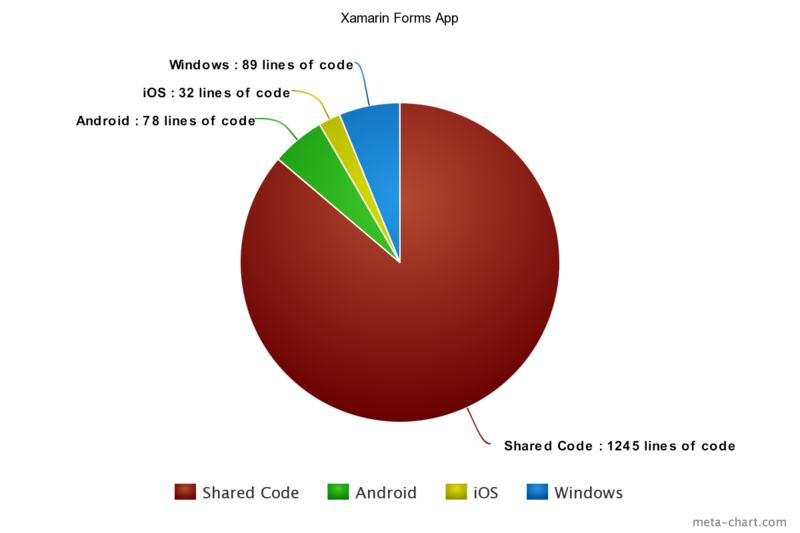 With Xamarin, you can get a fully native solution with 80–95% code re-use — personally I think that’s pretty awesome. All the UX and performance of the native platform, without having to rewrite all the code for each. Geolocation Plugin: I needed a way to initialize the default locations of HCPs around the user’s device. This plugin gave me a way to get the current location, and then it was just a matter of generating random locations around a single point. Share Plugin: So the customer can share the appointment experience on social media or email etc. Wibci.Forms.Converters: Shared value converters for Xamarin Forms UI bindings. Full disclosure — this one is mine. External Maps: Launch a maps request using a geolocation. FFImageLoading: Circle images and cached loading images — plus a bunch of other super-cool stuff like image transformations and svg support. Interested in developing mobile apps, or giving your business a slick mobile app across all the platforms — get started for free with xamarin here. They’re also adding support for other platforms like MacOS, WatchOS, Android Wear, Linux and even Tizen. Why is Xamarin Vs. Cordova the Wrong Question to Ask?